Replacing missing bone inside the jaw. Extraction sockets: To support the bone and improve the gum after extraction of teeth, especially before dental implant placement. Dental implants: To support and augment the jaw bone if the existing amount of bone is not sufficient. Periodontitis: To preserve existing teeth that have lost their secure anchorage in the jaw bone as a result of periodontal disease due to bacterial tooth plaque. Sinus floor augmentation: To correct a bone defect in the posterior part of the upper jaw bone. Root resection and cyst removal: To reconstruct destroyed bone following root or cyst resection. 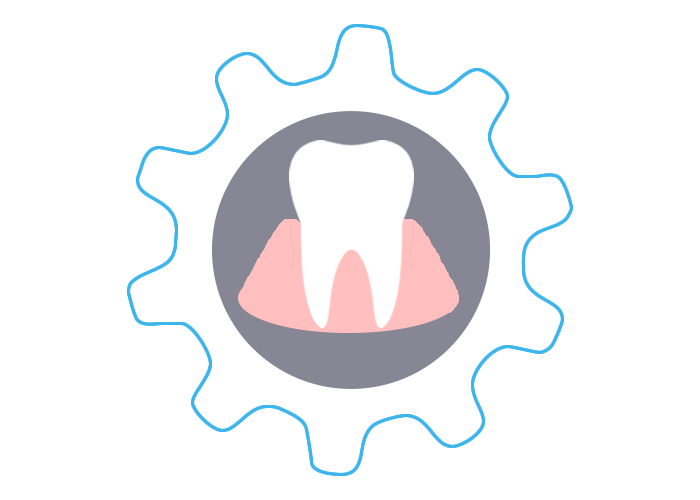 Bone can be harvested from different areas of the oral cavity or bone substitutes can be used with animal or synthetic origin. Guided bone regeneration procedures are safe and common treatments nowadays to ensure long term bone stability.